Endoscopic thyroidectomy is also called Minimally Invasive Video-Assisted Thyroidectomy. 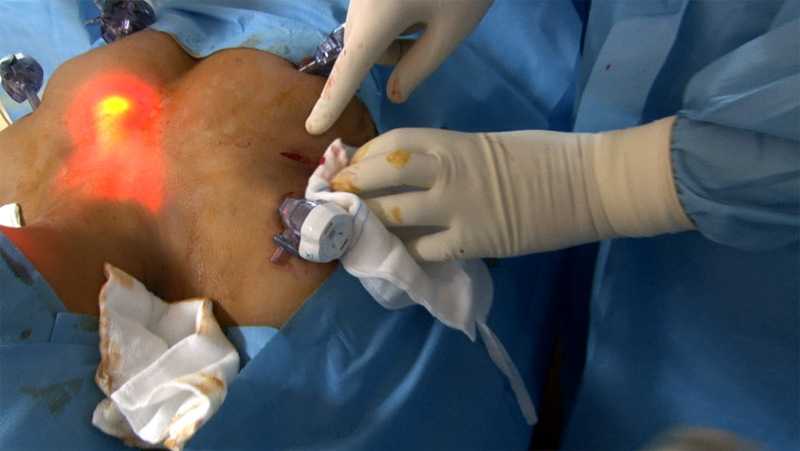 It is a new surgical technique which allows the surgeon to perform thyroid surgery through a small skin incision. In endoscopic thyroidectomy, very small incisions are made in the axilla. 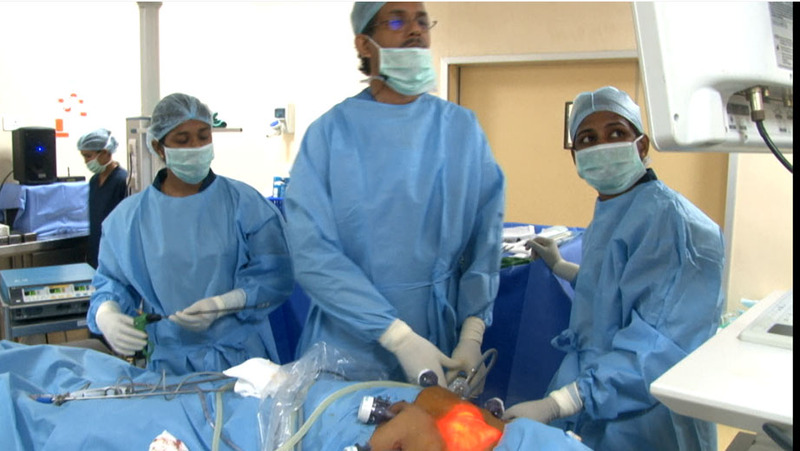 A video camera helps in providing magnified vision of the structures and comfortable dissection. This technique via the axilla helps even removing large thyroid nodules and even helps perform total thyroidectomy. The benefit of this procedure is that this is a minimally invasive approach (ie., the surgery is performed through a keyhole incision). Other benefits include safety and precision. 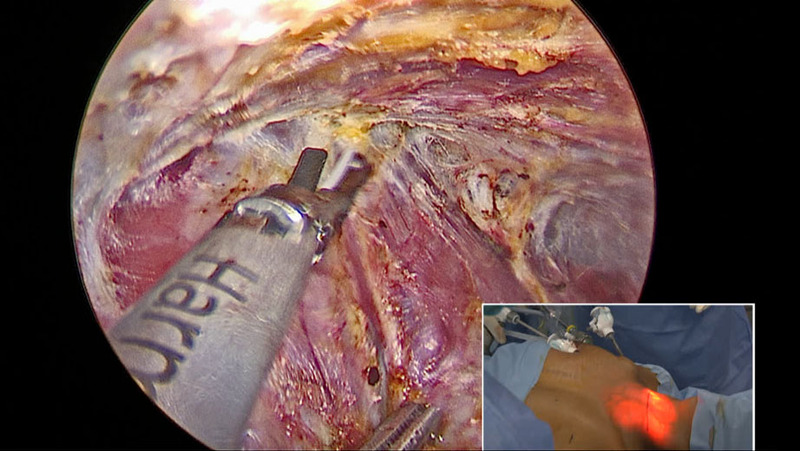 That is the video camera inserted through the keyhole incision provides a magnified view of the internal structures. Thus the surgeon can perform the surgery by viewing a magnified view of the internal structures on a computer monitor. This increases safety and the surgeon performs the surgery with precision. The greatest benefit is that the neck remains free of scar as the thyroidectomy is performed endoscopically via incisions made at the axilla. The smallest of scars produced are hidden beneath the inner clothes at the axilla. This is a great cosmetic advantage. Thyroid abnormalities are common among women. As per American Thyroid Association , approximately 90% of all thyroid nodules are benign. Ultrasound of the neck or if needed FNAC (fine-needle aspiration cytology) is used in patients diagnosed with single or multiple thyroid nodules. If malignancy is suspected as per the ultrasound report or the FNAC, then surgery is the advised solution regardless of the size of the swelling. Thyroidectomy is recommended for nodules larger than 4 cm even if the USG and FNAC suggest benign swelling. Depending on the patient history, physical examination as well as the USG and FNAC findings, the surgeon may decide to offer a hemithyroidectomy or total thyroidectomy in consultation with the patient. Using a keyhole ( laparoscopic surgery techniques), a scope is inserted with instruments at the axilla to remove all or part of your thyroid gland. 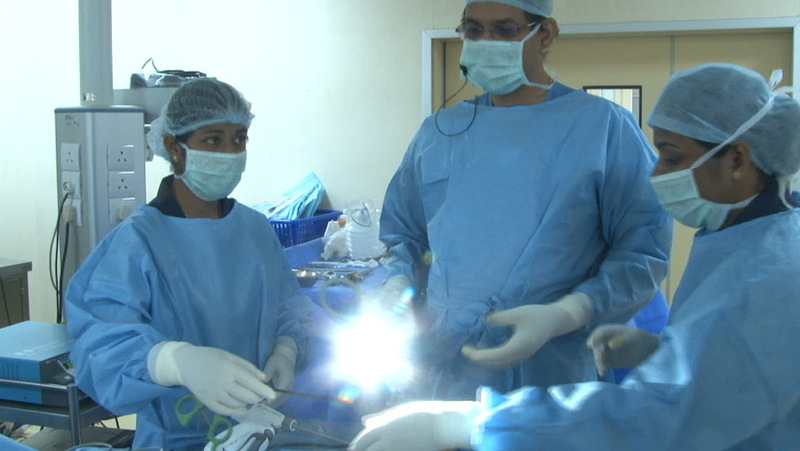 The operation is carried out with special instruments using a camera to guide the surgeon. The camera allows the surgeron to visualize the internal structures with magnification, precision and clarity on a monitor. After the thyroid gland is detached from the trachea, the specimen is placed in a specimen bag. You will have a small drain in the wound which will be removed after a few days. At the end, thyroid gland, part or whole, is removed through one of the incisions. The incisions are then closed. When thyroidectomy is done through the open method, a transverse incision measuring 12–15 cm in length is made on the neck. A large cut is made across the neck or a full cut is required even to remove a small part of the thyroid, even for one side removal leaving behind an ugly scar in the neck with pain, discomfort and delayed recovery. Women find these scars uncomfortable and cosmetically unacceptable. Thyroid disorders and found common in women. Minimal access approaches to thyroid surgery result in a reduction in size or elimination of the scar of the neck. Pre and Post picture of a patient on whom Thyroidectomy was performed via Endoscopy. As the incisions are made at the axilla, the neck remains free of scar.